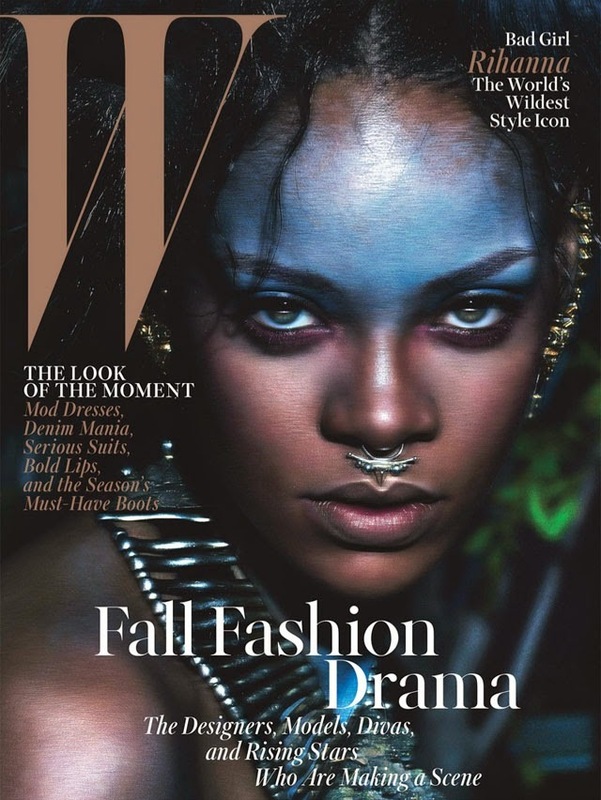 W Magazine is going tribal for their September 2014 issue. The cover this month features songstress Rihanna in a look like we've never seen from the musician before. Rihanna is seen wearing a Donna Karan Dress, an Ashley Lloyd headdress, Amrapali ear cuffs and a Stephen Dweck necklace. Shot by Mert Alas and Marcus Piggott and styled by the super talented Edward Enninful, this is certainly a cover that will attract a great deal of attention on the newsstands this month.